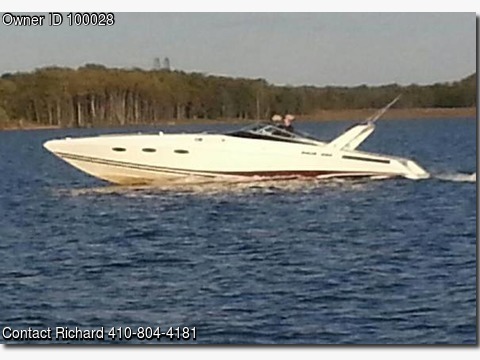 Boat is located in Joppa,Maryland.Please contact the owner @ 410-804-4181...1989 But is in Excellent condition. 3- 7.4L (454) 350 HP engines, All New Water Pumps and Thermostats, All New Canvas this year, covers entire boat, A/C, Heat, Generator, Brand New GPS and Radar, Brand new TV, and DVD player, Brabro -2 Outdrives, Central Vac system, Runs great, Clean, has always been kept under roof. Custom made Tri Axle Trailer with Aluminum wheels.Top speed 70 mph with proper water conditions. Boat built for speed and comfy for weekend overnights.